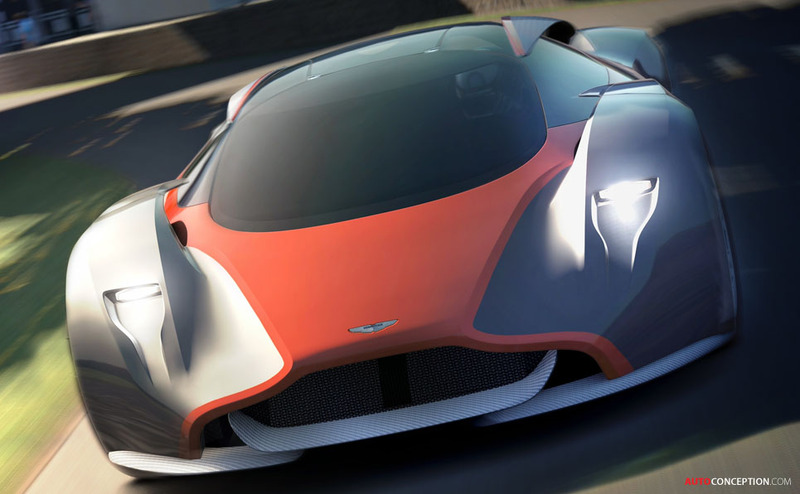 Aston Martin is unveiling a new addition to the popular PlayStation 3 racing game Gran Turismo 6 in the shape of the “Design Prototype 100 – DP-100 Vision Gran Turismo”. 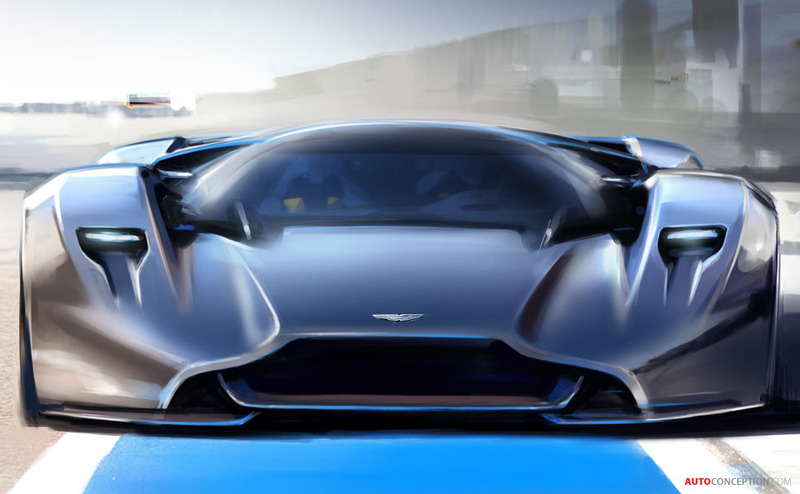 Developed in-house by the design team at Aston Martin, led by design director Marek Reichman, the new, virtual-only GT racer will be available for GT6 owners to download next month, following its global launch at the upcoming Goodwood Festival of Speed. 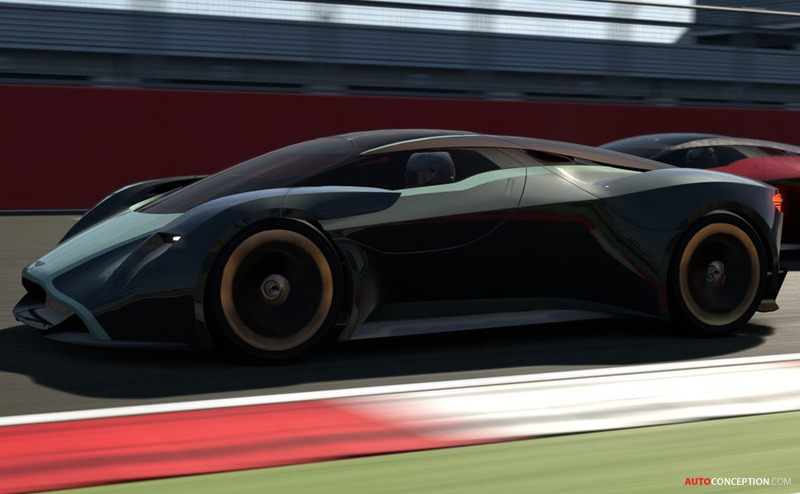 Starting with nothing but the traditional ‘blank sheet of paper’ the design team and design engineers worked for six months to create the new addition to the Vision Gran Turismo stable of race cars. 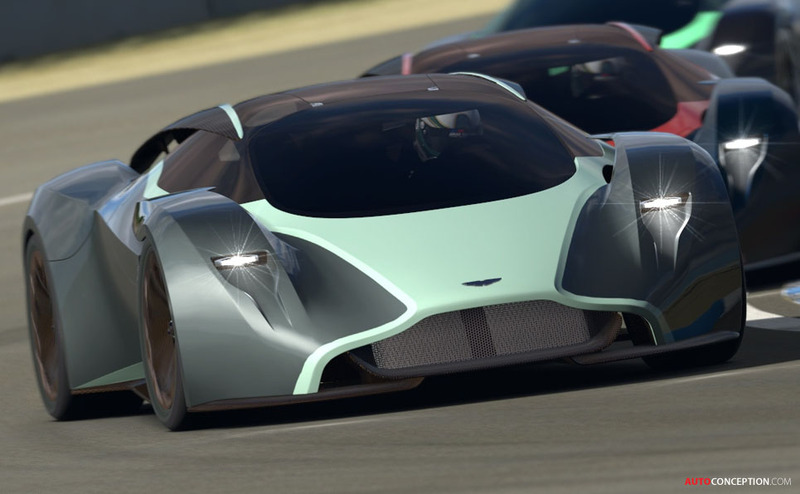 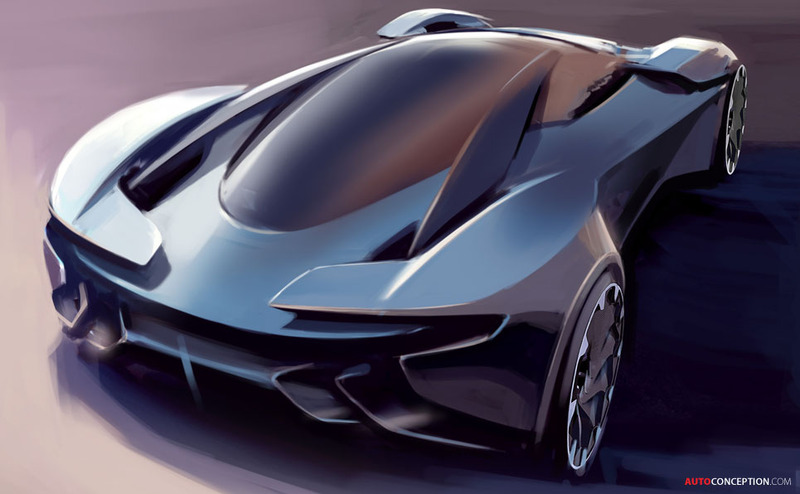 Created utilising many of the same techniques as applied in the development of Aston Martin production sports cars – hand sketches and 3D modelling, followed by full realisation in the virtual world – the twin-turbo V12 mid-engined racer offers up to 800 bhp. 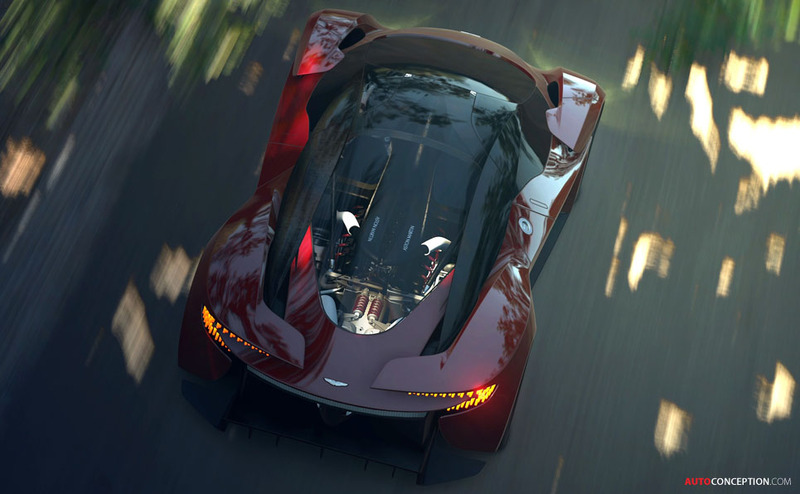 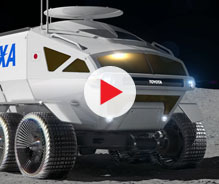 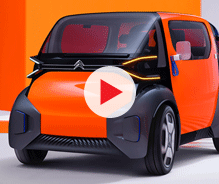 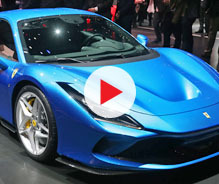 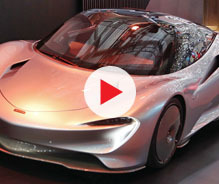 Marek Reichman said: “Features such as the car’s revolutionary ‘active aerodynamics’ are there not just as a way of enhancing form, but also to support the car’s function in-game. 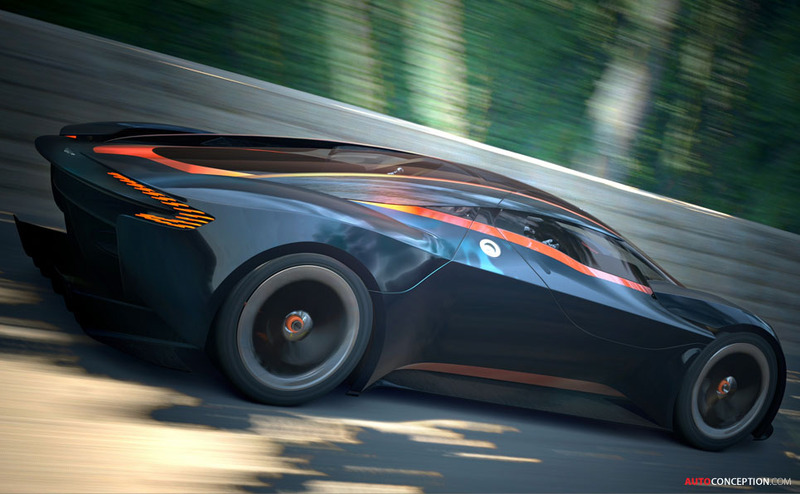 Aston Martin has supported previous editions of the long-running Gran Turismo series, debuting in the very first game with the DB7 coupe and Volante. 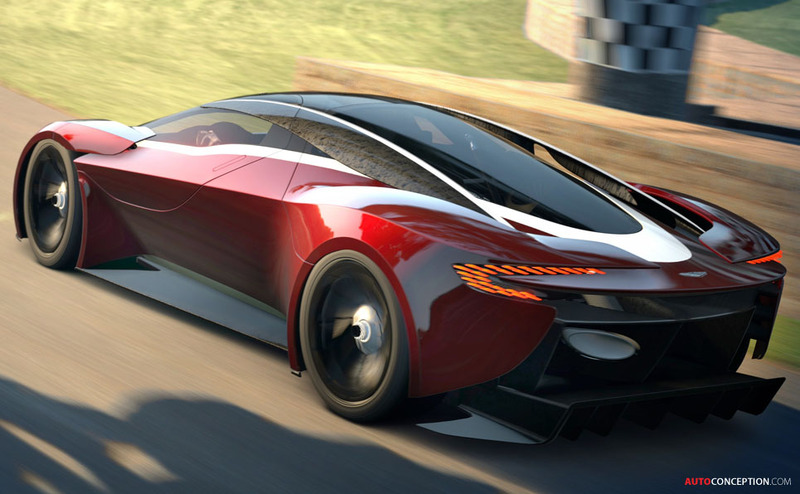 The 2011 One-77 is already a popular car in the GT6 stable.